Continuing on the promo trail for 'Mortal Engines', Hera Hilmar was on hand for the premiere in LA yesterday evening(December 5th). 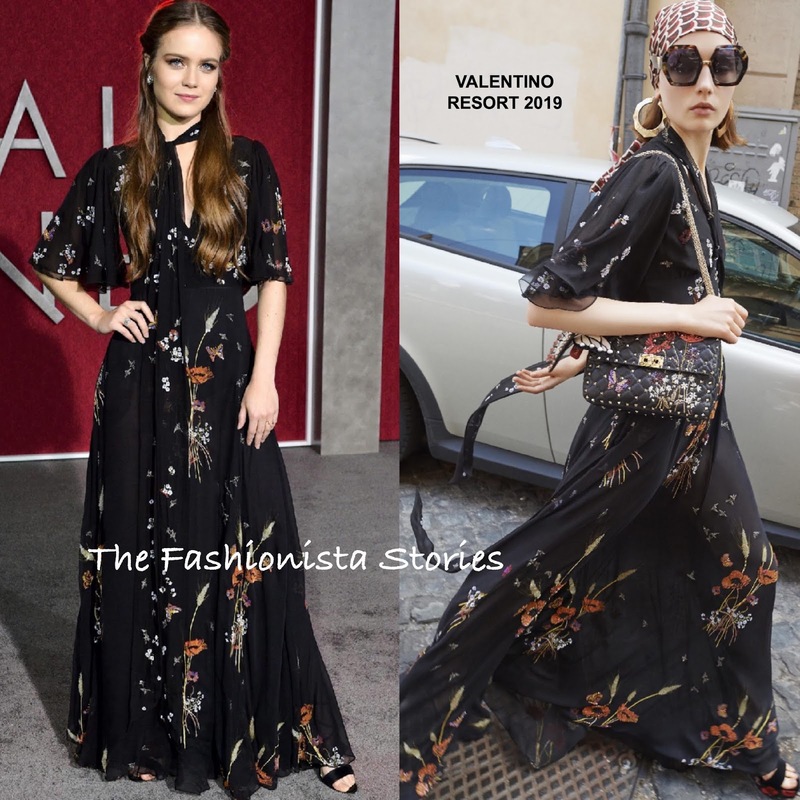 The actress went the sheer route, wearing a VALENTINO RESORT 2019 black floral, floor sweeping dress, adorned with three-quarter flutter sleeves, a tie v-neck and black briefs underneath for coverage. In the look book, the dress is shown as the perfect chic, vacation piece but on Hera, it has a subtle romantic, boho vibe which worked. My only quibble, is that I wish the hair was completely off-the-shoulders but other than that, this is a great look.